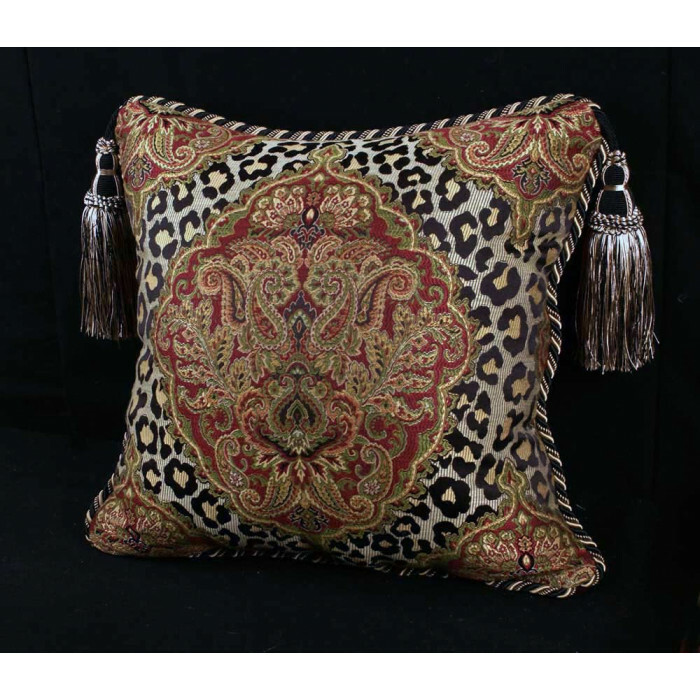 Elegant Italian Brocade with Italian Velvet - Single Luxurious Decorative Leopard Damask Designer Pillow with Pillow Insert and Trim Options. 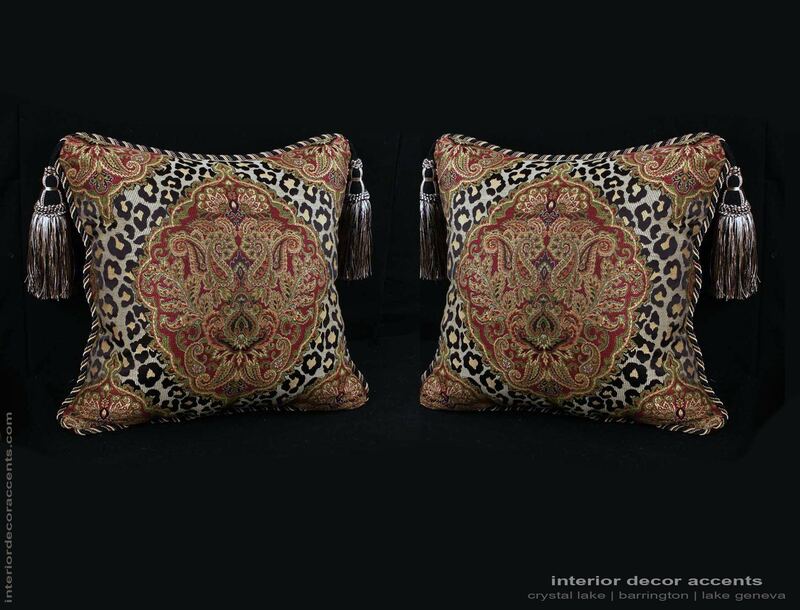 These stunning designer pillows will enhance any decor style from Contemporary to Traditional. 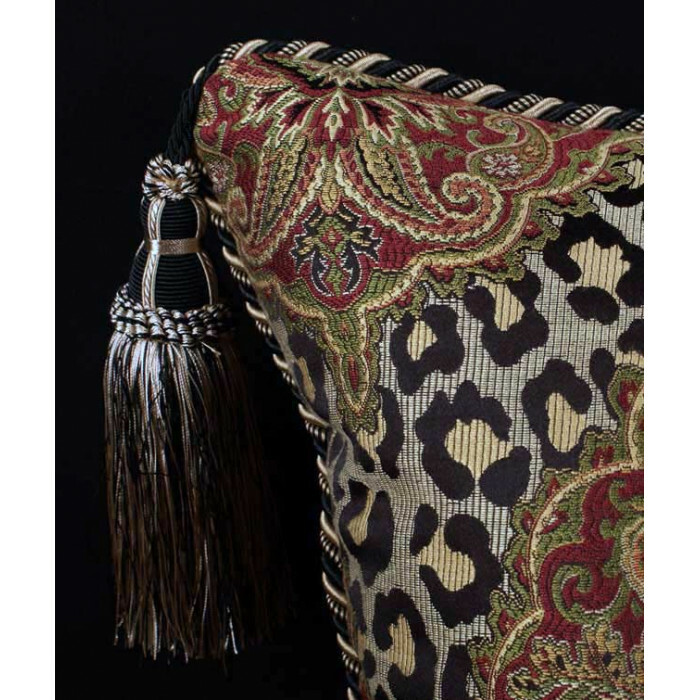 An elegant, high-end Italian brocade in a damask with animal print is backed with ultra-luxurious velvet to wonderful single accent that will be a true source of pillow envy. 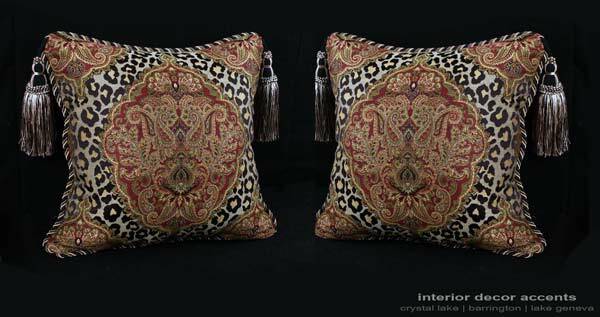 This single designer pillow, with an exquisite combination of quality craftsmanship and high-end designer fabrics, was personally handcrafted in our workroom to the highest designer standards. Both of these designer only fabrics are very high-end and are absolutely stunning. Our exclusive damask patterned leopard brocade is simply exquisite and on a level with the top fabrics such as Lee Jofa, Kravet Couture or Schumacher and is over the top in terms of its craftsmanship, design and exotic and elegant appeal. The Italian cotton velvet is luxurious, ultra soft, plush and begs to be both admired and touched. The designer tassels and cord trim were hand selected to add a simple elegance and the pillow was sewn with exquisite quality. click image to view large detailed picture. A matching pair as pictured is also available. ​Would you like to explore custom bedding, a valance, draperies or roman shades in this grand style? Please consider e-mailing us about letting us enhance your personal taste and interior design vision with this timeless and adaptable fabric. 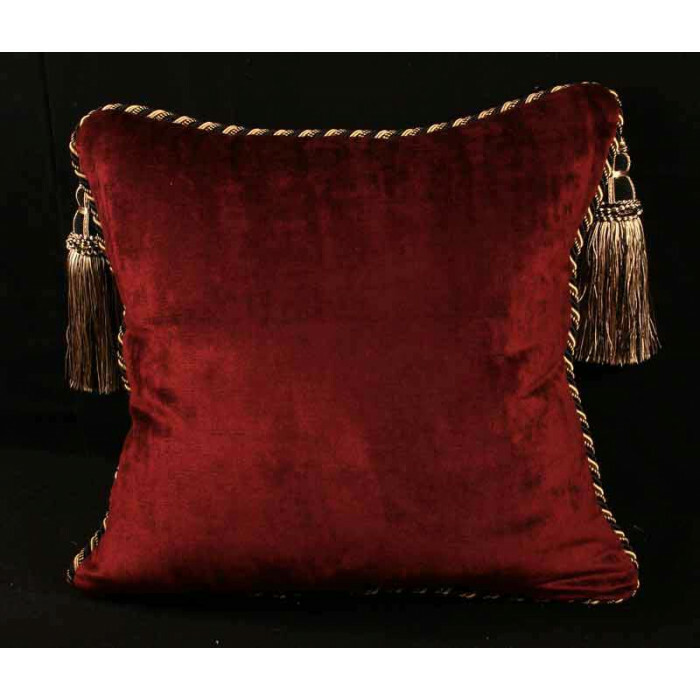 Select pillow insert and trim and tassel options to further personalize this decorative pillow. 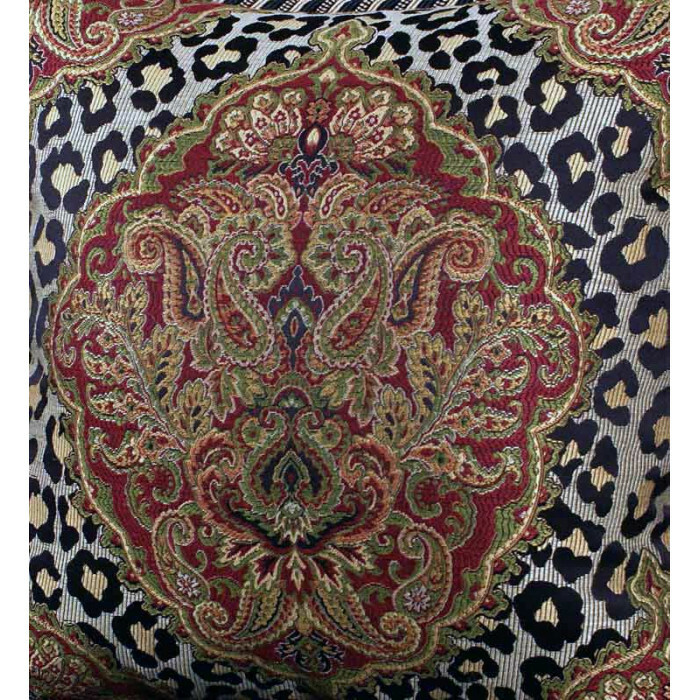 Pillows Size: 20" x 20"
Product Note: An incredible fabric for any decor.